HBR 2309-10 - Enjoy two bedrooms with the upkeep of one! 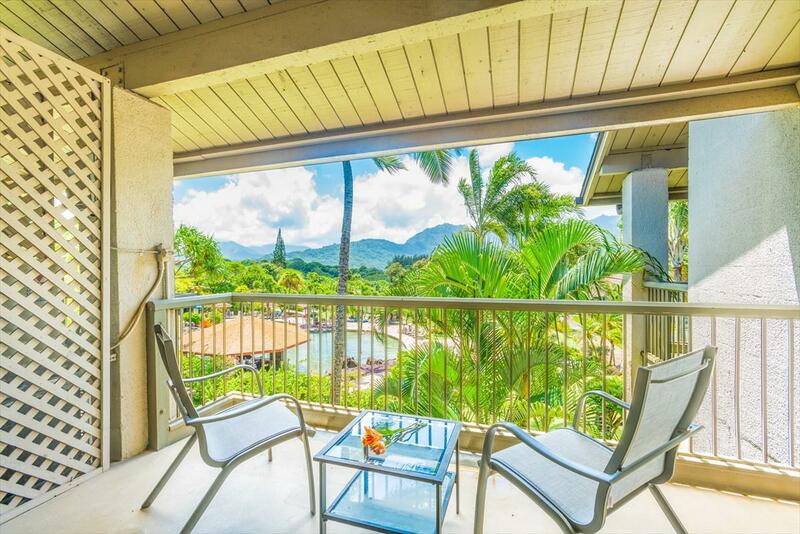 This top floor one bedroom condo has an added loft which serves as the second bedroom. It has vaulted ceilings, a large bedroom plus loft for 2nd bedroom, two full bathrooms, kitchenette, living area and a large lanai. Fully air conditioned. 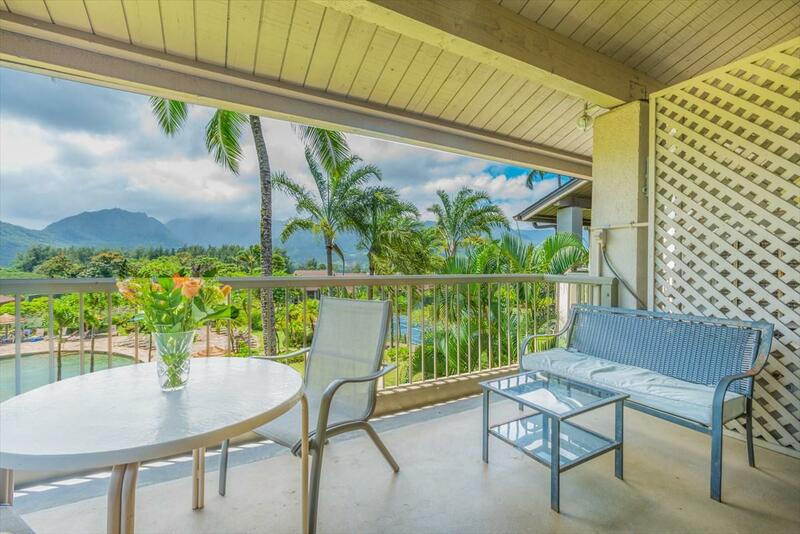 Waterfall, mountain and Hanalei Bay views ... the connection between the modern island dcor and the tropical views make this condo a true gem.Surrounded by an abundance of resort amenities, lush tropical gardens and an incredible setting, HBR is world class. 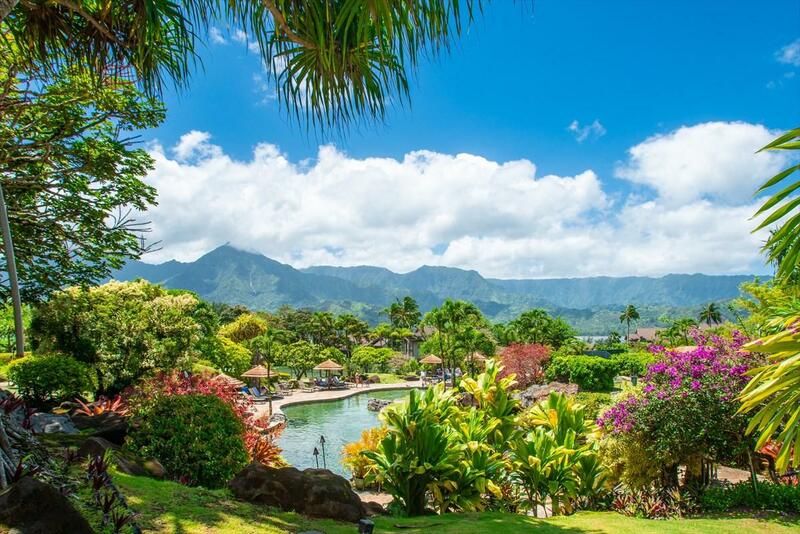 The resort features two pools, hot tub, tennis courts, BBQ, paved beach path, beach shuttle service, on-site dining, spectacular views and much more. 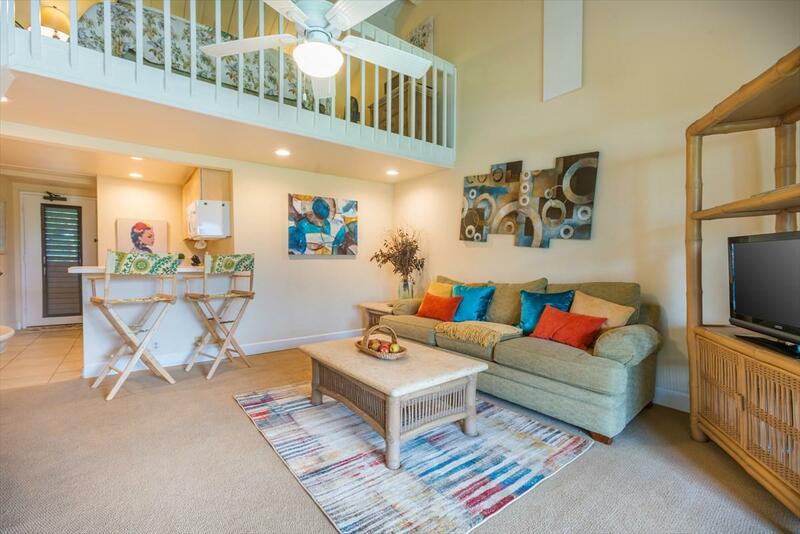 Offered fully furnished and is an established vacation rental.AOAO fees include all utilities: electric, TV cable, internet service, water and more.